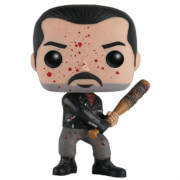 The Governor as a stylized vinyl figure! The Walking Dead TV Series The Governor Pop! Vinyl Figure features the two-faced antagonist, rendered in the awesome Pop! Vinyl format.